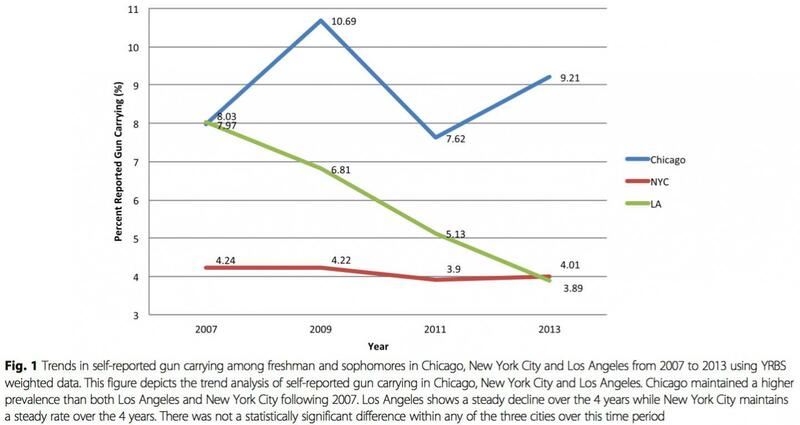 CHICAGO — More students report carrying guns in Chicago than in New York or Los Angeles, a new Northwestern Medicine study shows. The findings provide historical background for Chicago's 2016 spike in gun violence, which occurred mostly among youth and young adults. Publication of this article was funded by the Injury Free Coalition for Kids.